A Nara photograph of one of the guns in the battery Auderville Laye, west of Cherbourg.. This gun was made for the heavy cuiser class "Hipper". 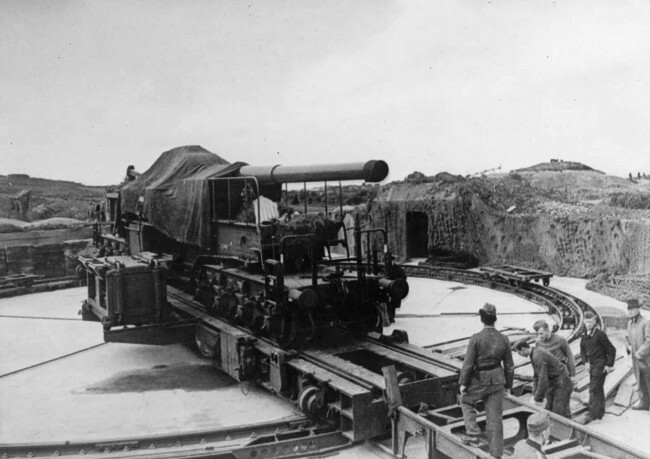 Eight barrels were placed on railway carriages and found their way in the Atlantikwall. Two in Lissewege and Auderville Laye. The other four found a designation in Paimpol. The same place in 2003. The form of the turntable is still visible.